This is one cute little thing! 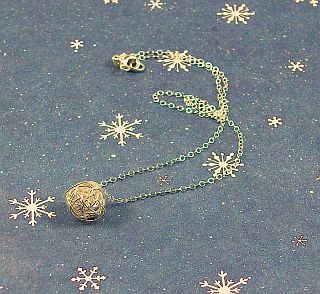 Learn to wrap and form a ball shape jewelry and hold it's shape! Each of the created ball will turn out fairly differently depending on the strength you've put on it while you wrap as well as the flow of the wires goes! It can be a pendant, earring, or bracelets. Vickie included the list of tools and materials in this tutorial! Enjoy creating this little ball! WOW! Very nice, great, I love it!